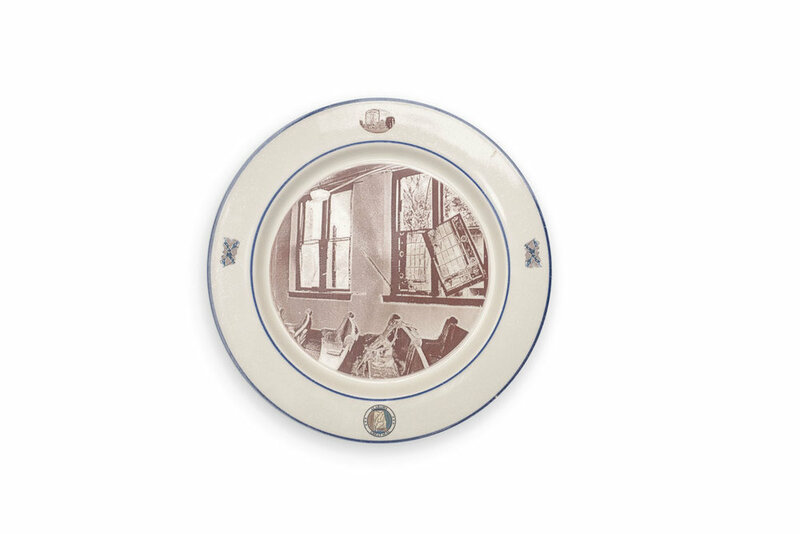 I begin with plates found in secondhand stores, sometimes from entire sets that have been used only on special occasions by the owners. 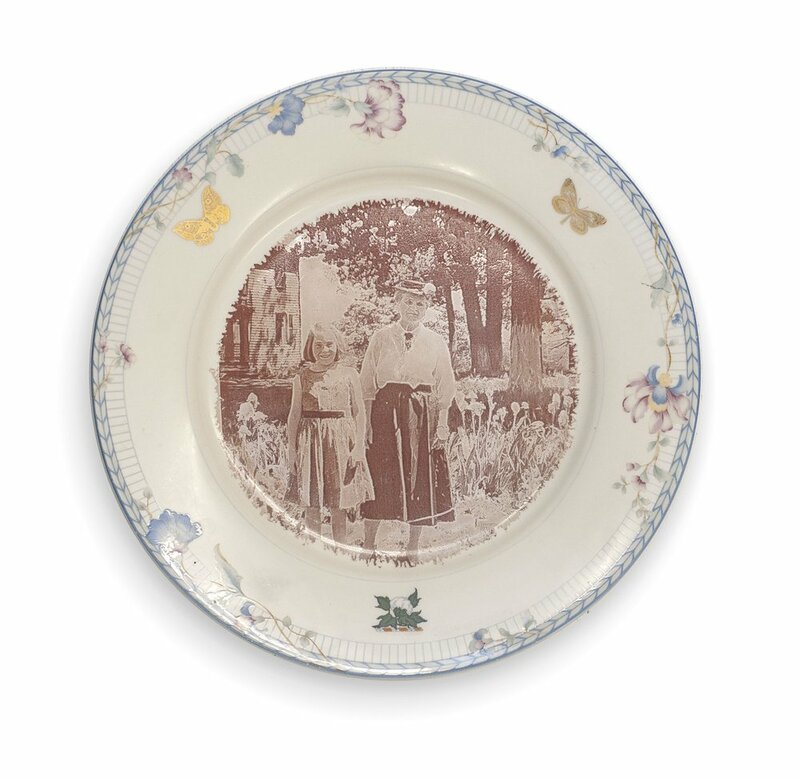 I use images from my own family photos and from archival images to make iron oxide decals or custom decals. 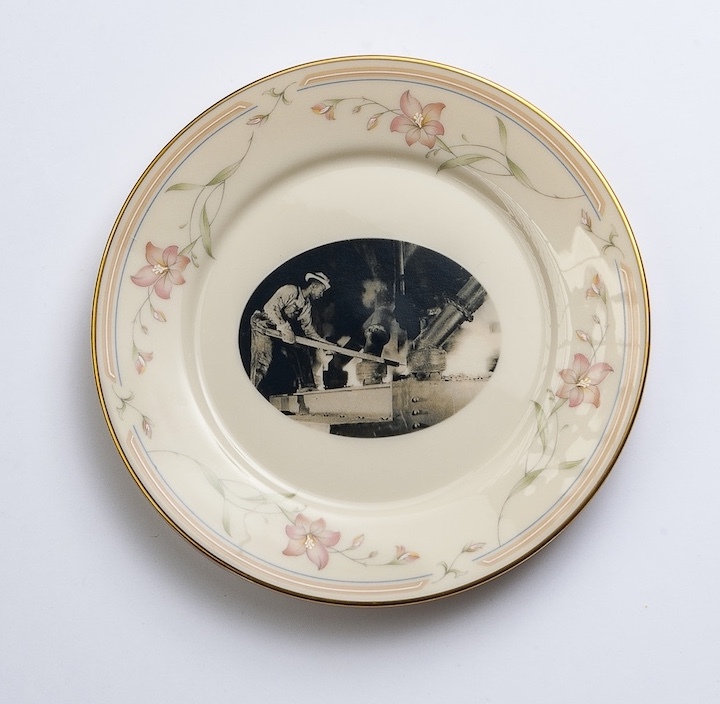 I have experimented a lot to find which decals fire at lower temperatures to protect the gold paint on the original plates. 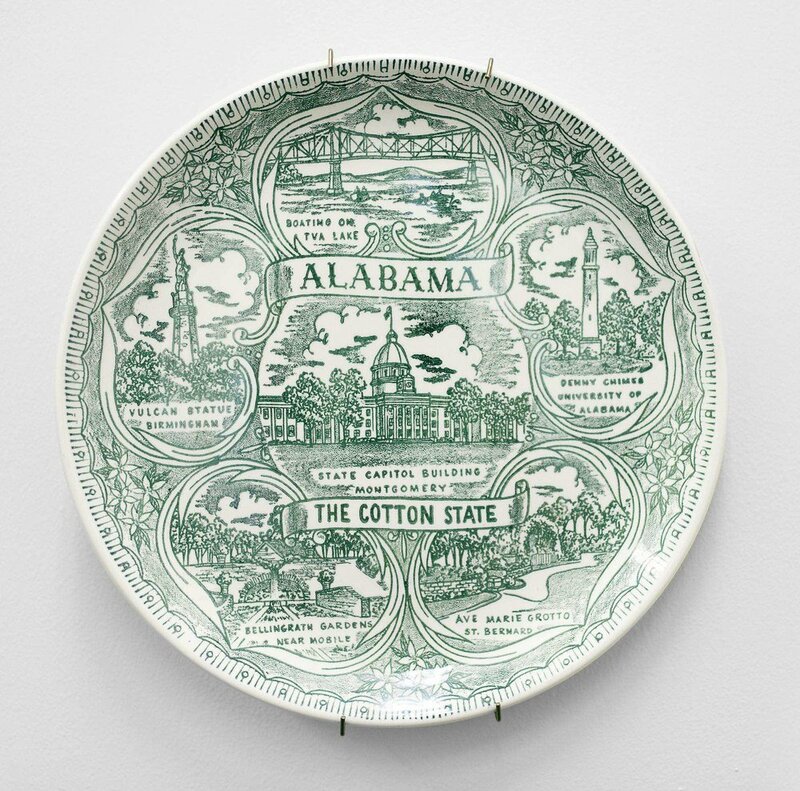 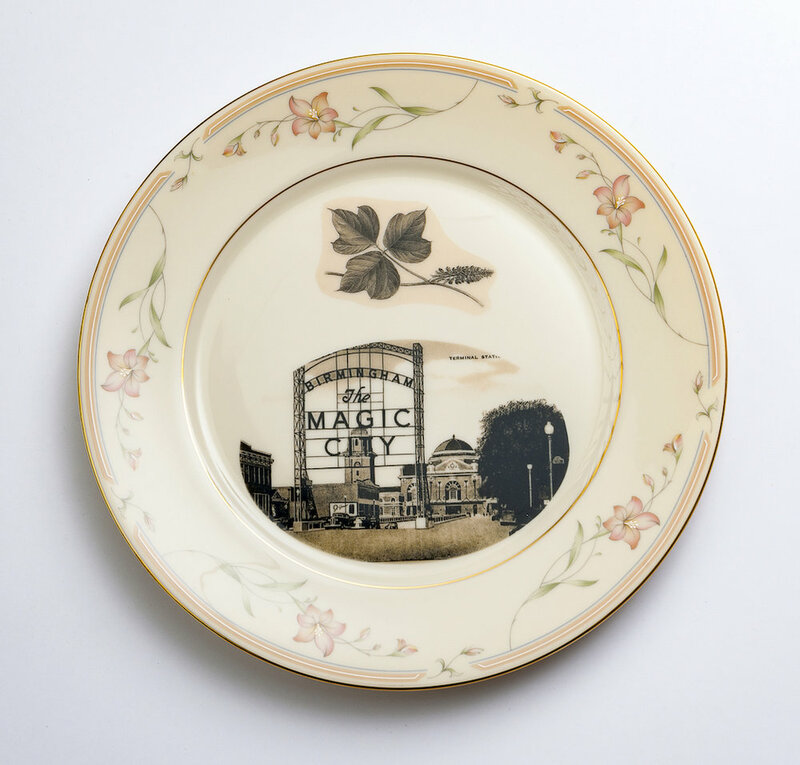 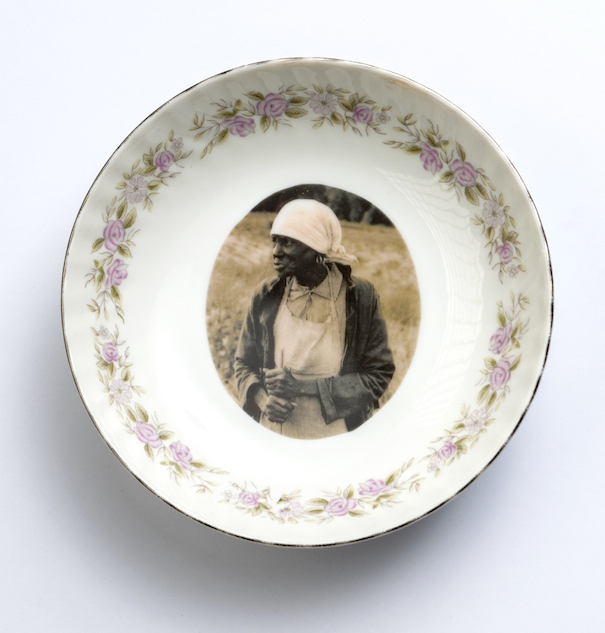 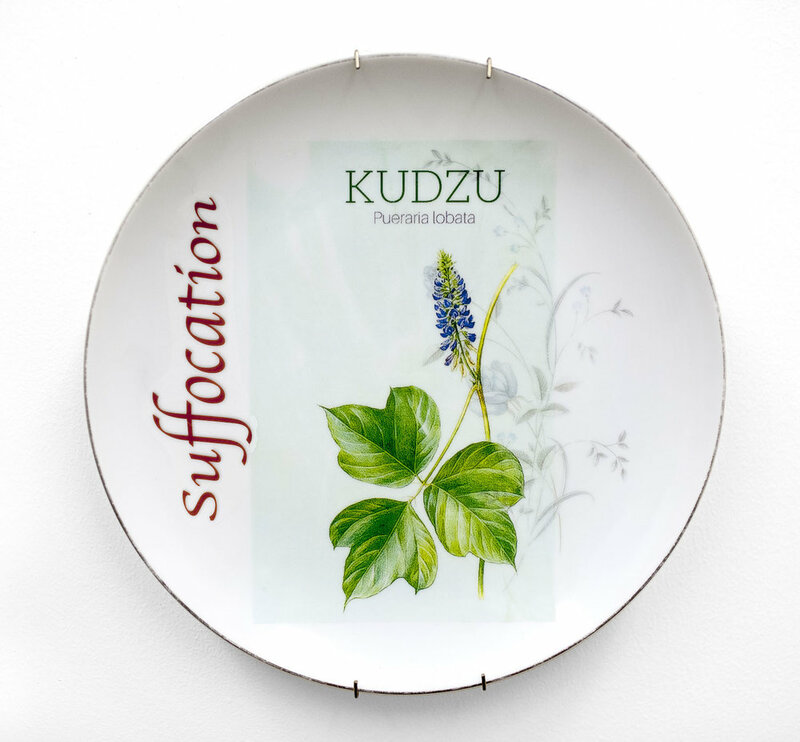 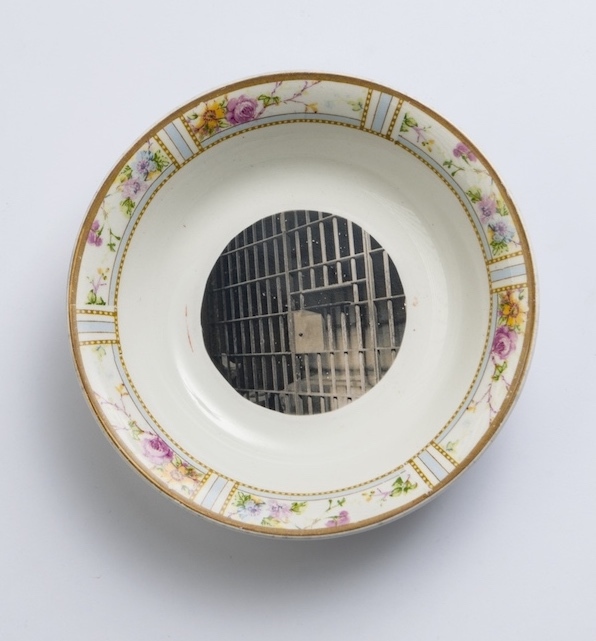 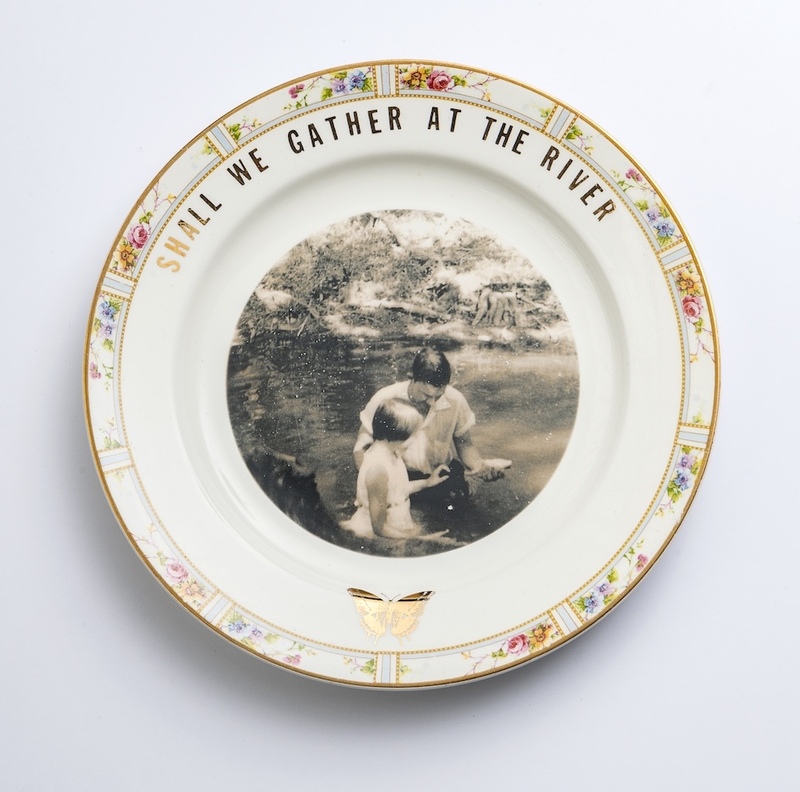 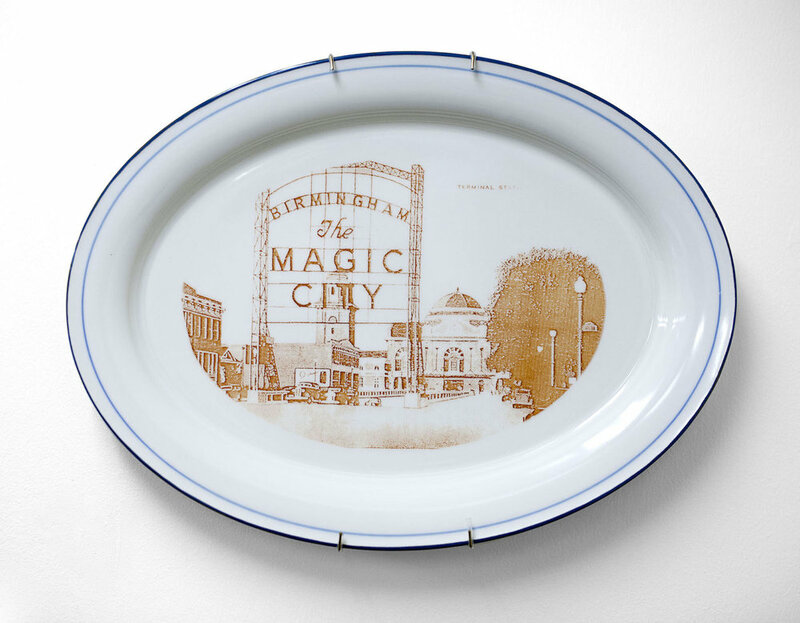 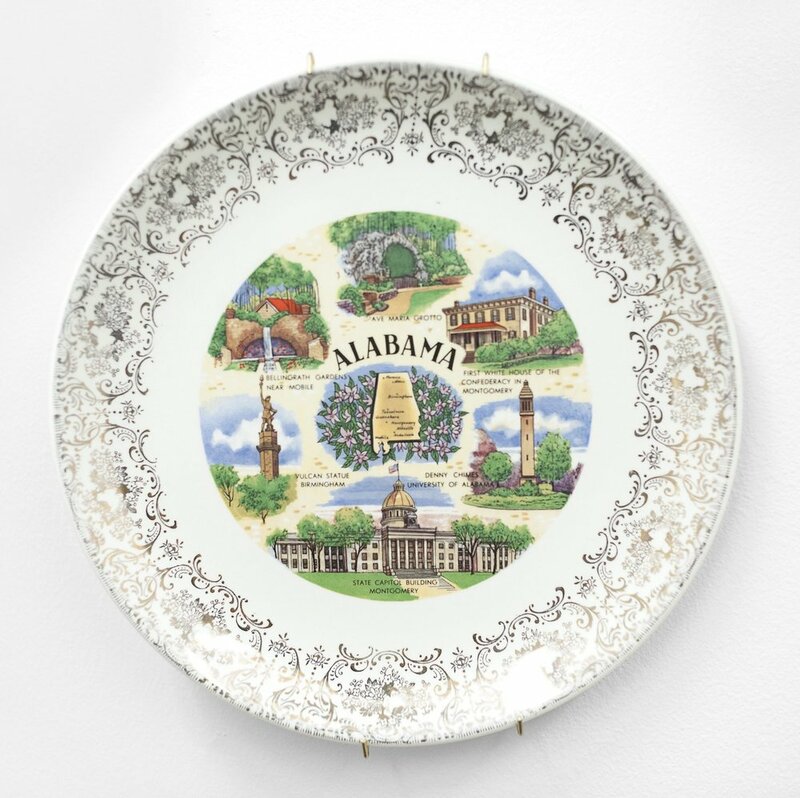 The plates reference the early South to the '50s, the Civil Rights Movement in the '60s, and the current century, including the Black Lives Matter Movement and Charlottesville. 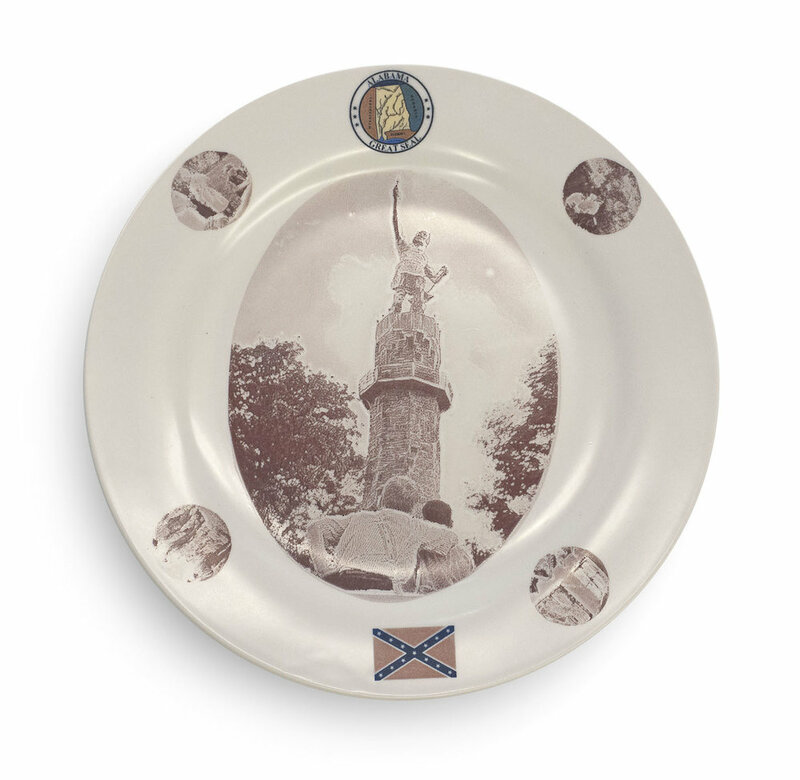 There are also unaltered plates, including commemorative plates and one that has been stapled.